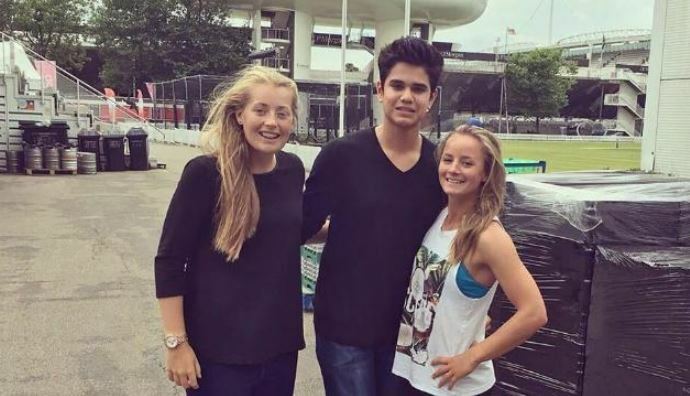 Arjun Tendulkar, son of Sachin Tendulkar, is in England currently enjoying his off-the-field time as he wasn’t picked in the one-day side for the Youth ODI series. He then traveled to London and spent time with his good friends, among them is English cricketer Danielle Wyatt. Tendulkar Jr. caught up with Wyatt and posted a selfie with her on his Instagram stories where the two can be seen having lunch. 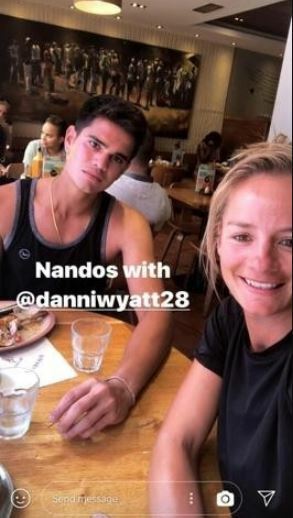 He captioned the photo “Nandos with Danielle Wyatt”. Wyatt has been one of the few known women cricketers in India and every now and then she posts photos or updates about the Indian cricketers on her various social media accounts. However, four years back Danielle tweet, “Kholi marry me”, after watching one of Virat Kohli’s top innings. She may have got the spelling wrong but it took no time for the tweet to go viral, her father got phone calls and even her teammates did not spare trolling her. Wyatt did tweet a congratulatory message after Kohli and Anushka Sharma’s marriage last year. But she knows the story won’t die in a hurry. Fortunately for her, the Indian skipper saw the funny side and even gifted her a bat when he they met and slipped in a piece of advice, “You’re the girl who sent that tweet… you can’t do that because people take it seriously”. Arjun meanwhile, recently made his first-class debut in the four-day Youth Test series in Sri Lanka. India U-19 defeated Sri Lanka in both the ‘Youth Tests’, as the southpaw all-rounder took his maiden wicket for India. He opened the bowling after India lost the toss in the first Test and took the wicket of RVPK Mishra in the third over of the match. He couldn’t make most of his opportunity with the bat as he was dismissed for a duck after facing eleven deliveries and even in the second Test, he fared no better as he scored just 14 runs and picked up another wicket. Copyright © 2019 CricShots. All Rights Reserved.